Next Overwatch piece done and first piece for June, yay! 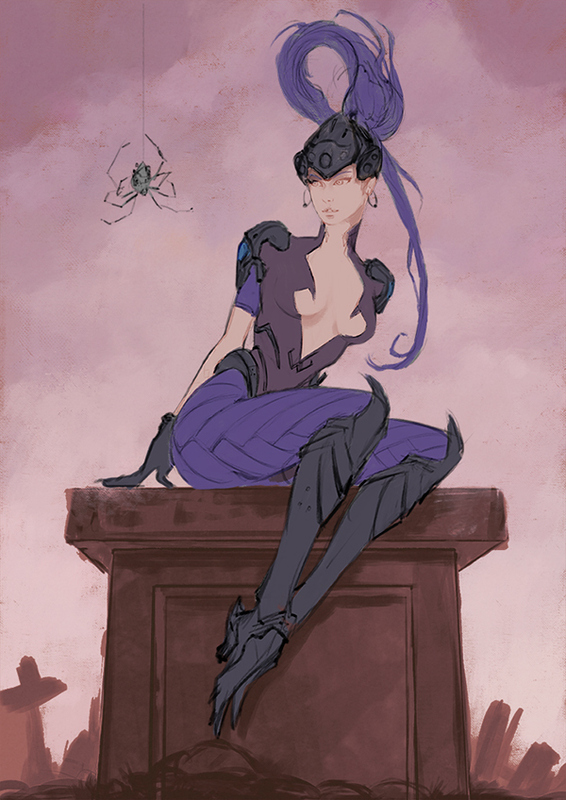 This piece is based on an older Brom painting/pose from a piece called Miss Muffet. 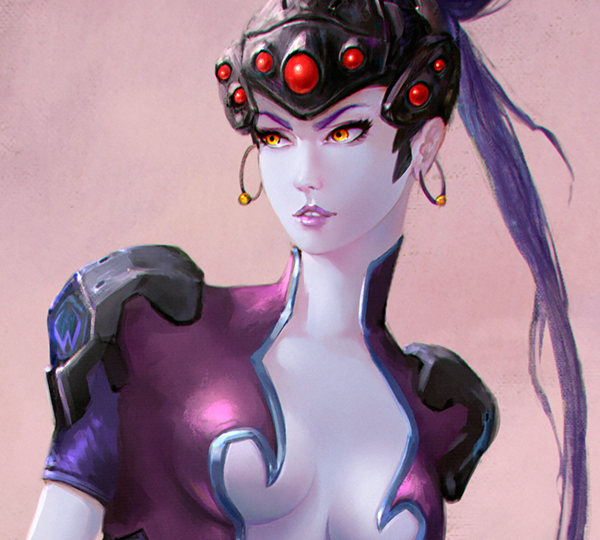 I loved that stance and felt like it was made for the character Widowmaker from the game Overwatch. A weird character that is obviously scared by a big spider - to me this picture talks about our own very prejudices. You can see and download the process gif here: https://www.patreon.com/posts/5565143?alert=1. Patreons will get the PSD, underpaintings, process gif and hi-res jpeg - depending on pledge. 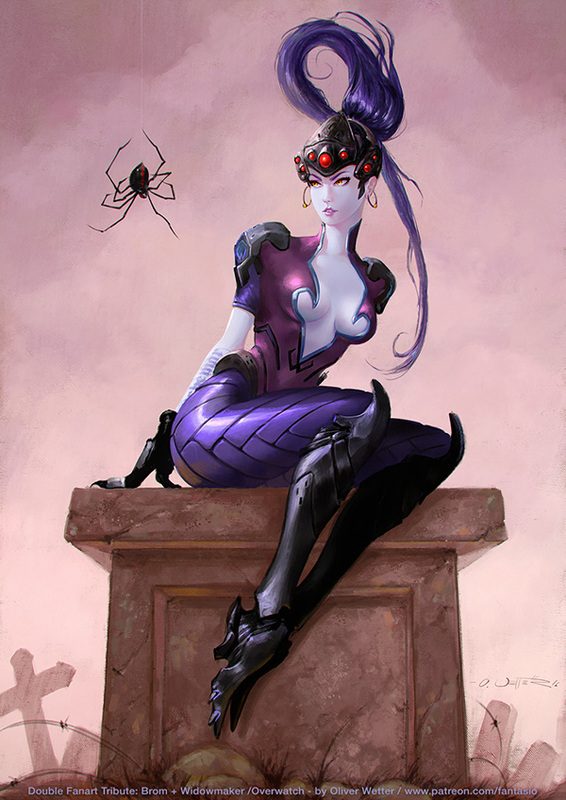 Overwatch character Widowmaker and Brom's "Miss Muffet" in one striking mashup piece.